The Wrench – December 2017 : Squad – Communicate. Coordinate. Conquer. We hope you all had great and amazing holidays and spent some time with friends, family, scotch, or your pets. (Whichever you may enjoy most. No judgment.) The Modding community was also hard at work on some new content which we’re happy to present to you. We love what everyone has been doing so far and with Alpha 10 around the corner we are sure that a great 2018 is waiting for us! We are glad that you are with us on this journey. This team is working on a custom faction everyone has really wanted to see since the Project Reality days: the Finnish Defence Forces. It plans to combine elements from both conventional and unconventional forces in a way that reflects the traits of the FDF such as infantry focus and defensive maneuvers. 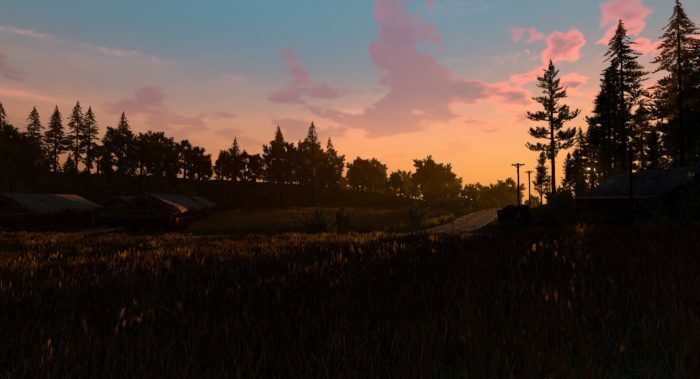 They are also planning on including new maps as well as a defensive game mode. Currently we can see great progress on their character models as well as various gear. Mahtava! It always fills us with a sense of pride when we see things that grow in our community get bigger and end up in the Steam Workshop to be downloaded by everyone. Finkarus is a great example of that. 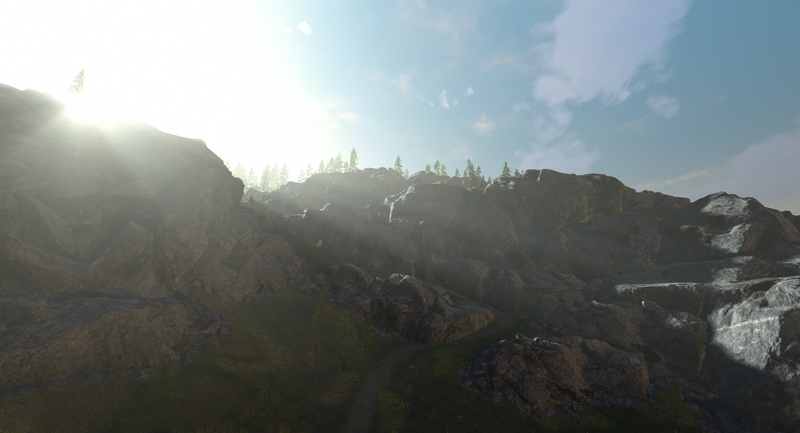 It is a 4x4km map with all sorts of different terrain that can already be played. Creative work is never finished though, so LoRDHitMan is currently working on a Mesh Kit to make the Soviet apartments look more authentic. You can check out the current version of the map on the Steam Workshop. 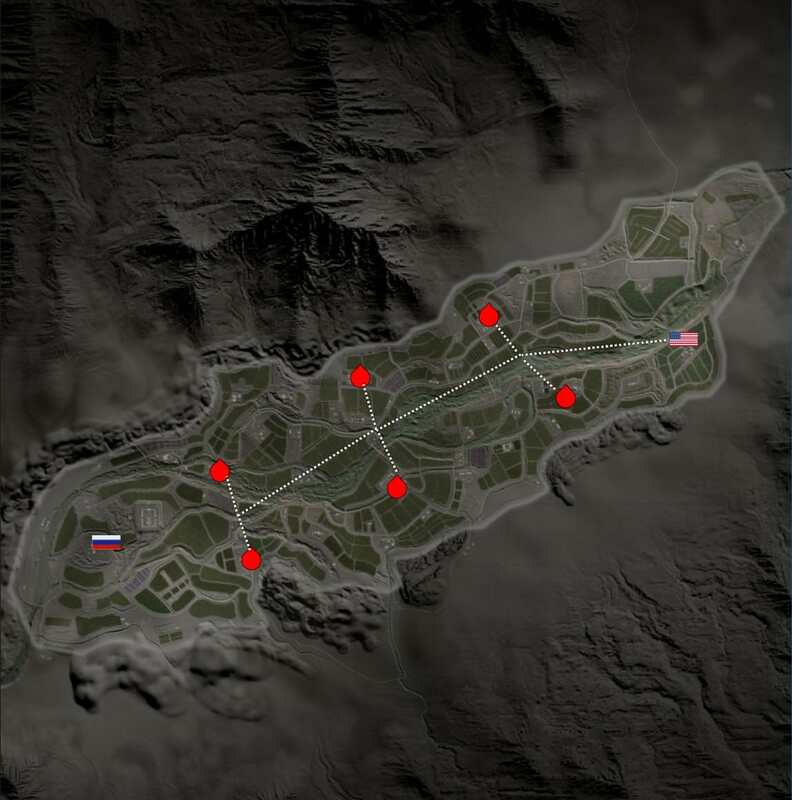 “Due to changes coming to AAS, the ISKT community took it upon themselves to create a new game mode for competitive Squad that would fit well and make for more diverse strategies. Destruction is a product of several people from the competitive Squad community, ISKT, and is being built and made possible by Virus.exe who is a great contributor within the Squad modding community. Destruction is based on the Battlefield 4 Rush game mode with a pair of caches that will spawn in the general same area (around the size of your average capture zone in AAS) that need to be destroyed. 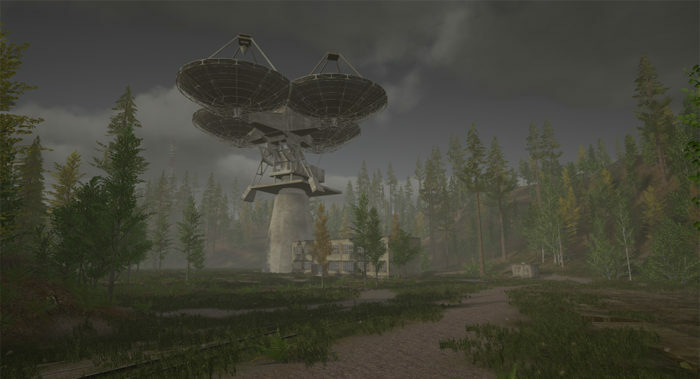 The caches are always spawned in the same general areas for each phase which allows teams to prepare different strategies for different layers and maps. Attackers need to destroy both caches in a phase to advance to the next phase, with 3 phases being the total. Once a cache is destroyed the attacking force will gain tickets. Since both caches in a phase are in play at the same time, the attackers know their location and the defenders must maintain a significant amount of map control to ensure where the attackers focus the majority of their forces. Defenders must bleed attackers out of tickets or hold out for 60 minutes to win. Attackers must destroy all caches to win. Community Contributor Marv has been with us for quite some time and is working on a beautiful looking winter map. The map will feature capture zones centered around fortified trenches where the US Army and the Russian Armed Forces will fight over control in an open-world scenario. Based on a forest located around his hometown of Oss, Orsouw.G is working on capturing the Dutch countryside. He is planning to do US Army vs. Russian Forces where the Russians will be attacking from the north of the map. 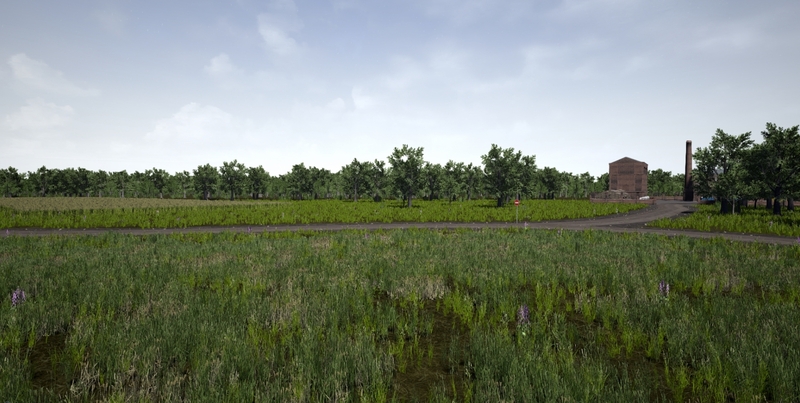 The flat Dutch terrain will be key on this map, where concealment is hard to find. Orsouw.G is currently working on some custom props to liven up the new Western Europe setting. Some may already know about it, some have been seeing the announcements in the Modding Discord or the official Squad Discord. Together with our community member rocode and a lot of support by server admins we’ve been doing a weekly Modding Roundup where everyone gets the chance to play some of the great Mods that have been in development. Make sure to stick around on Saturdays then! Modding Roundup happens every Saturday, 19.30 UTC, the maps of the week and server will always be posted in the Official Squad Discord as well as the Modding Discord. Who are the people that make up this beautiful and dedicated community? Let’s try to dig a bit in and get to know our Modders. This month we have an interview with =RED_BEARS=SilentBlooD, a mapper who has already been featured in the Modding Roundup with some great things. A: Hi there, I am 34 years old and I live in Israel. I am a construction superintendent and a contractor. Q: How did you start Squad Modding? 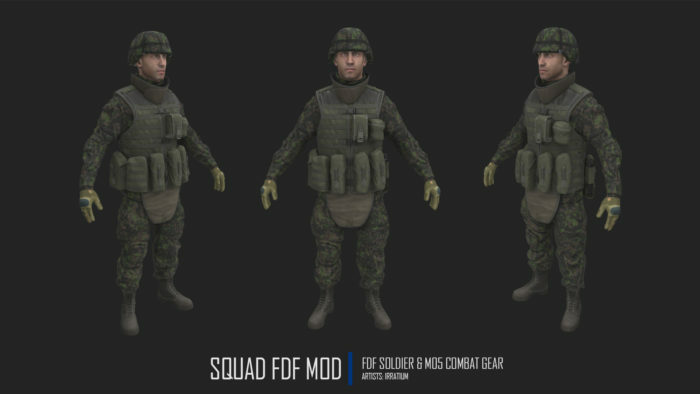 A: One day I saw a video by BlueDrake talking on the subject of modding for Squad. By that time I have been playing Squad for some time and was looking for a cool project to work on. 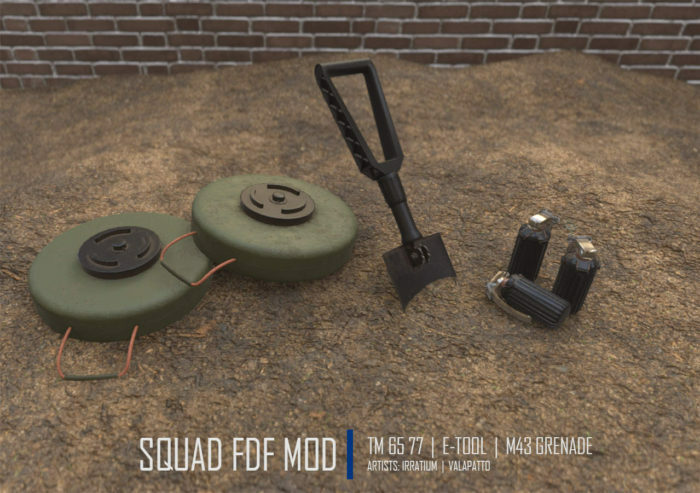 Q: Have you been modding any other games before starting with Squad? A: This is the first time I did anything this large in terms of a modding project. Q: What was the biggest challenge you encountered? A: A game dev should be organized and careful with development backups. I had to redo the map three times. I still cannot believe I made the map in three months time. Q: What would be your best advice for newcomers to Squad modding? A: Watch a tutorial on a subject you need and then practice it until you are doing it fast and with a good result. Do not fast forward in your work thinking that you know stuff. You have to practice every day for at least two hours. Q: If you could change or add anything you want to Squad or the SDK, what would it be? A: Squad is all fine. I would whine on the subject after they release the final build. SDK needs a lot more environment assets. As a mapper the thirst for assets to play with is endless. I would be fine with a 300% increase in world assets for mapping! Q: How long did it take you to create Forest Air, from start to the current stage and did you learn anything new while creating it? A: It took me three months to get where I am at this stage of my map dev. Before this map, I was working for six months on an 8x8km island map. Now when I look at it I can see that my style got more interesting: the light setup is much better, I know how to set up spawn points and the rest of game logic. I had a lot of help from other community modders like CreativeRealms, Virus.exe, rocode, XanderDal, wasti and the moderators of the Squad Modding Community Discord server. Q: How many assets have you made yourself and would you recommend modders expand their skill set so that they can create their own assets for maps? A: In my opinion it is vital to know modeling and texturing software. At least on a basic level. This will help you to produce your imagination the way you see it on the map. 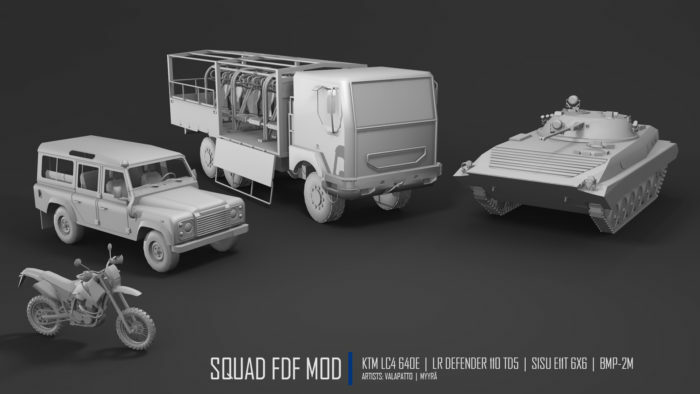 There are 10 original meshes and a huge amount of merged assets that were created from by kitbashing inside the Squad SDK. Q: Do you have any upcoming projects after you complete your map, Forest Air? A: I have a couple in mind. I will start them only after the community has the chance to play for some time on my map and see if it wants it or not. But you never know. I might just wake up one day and start working on the next one. Thank you very much for answering our questions. We’re looking forward to your future endeavours!